Family gatherings mean sharing meals together, this sausage roll, is the perfect way to start the day. 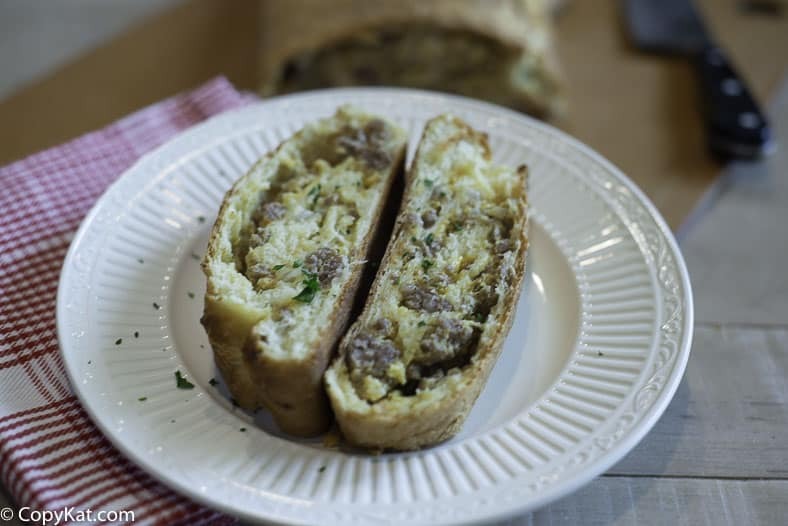 Crusty bread is filled with cooked sausage, eggs, cheese, and more. 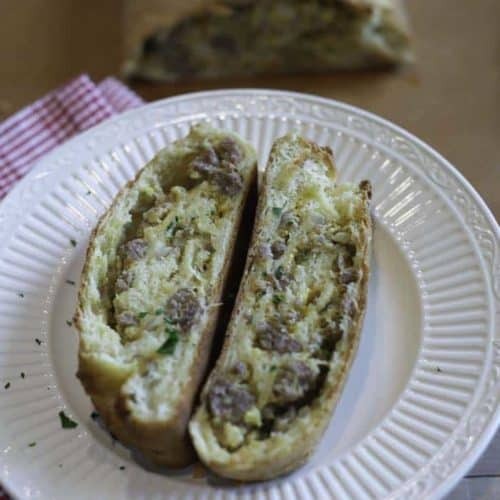 This sausage roll delivers a wonderful breakfast for a crowd. Need to serve breakfast to a large family gathering? Are you looking for a hearty dish that everyone will love? 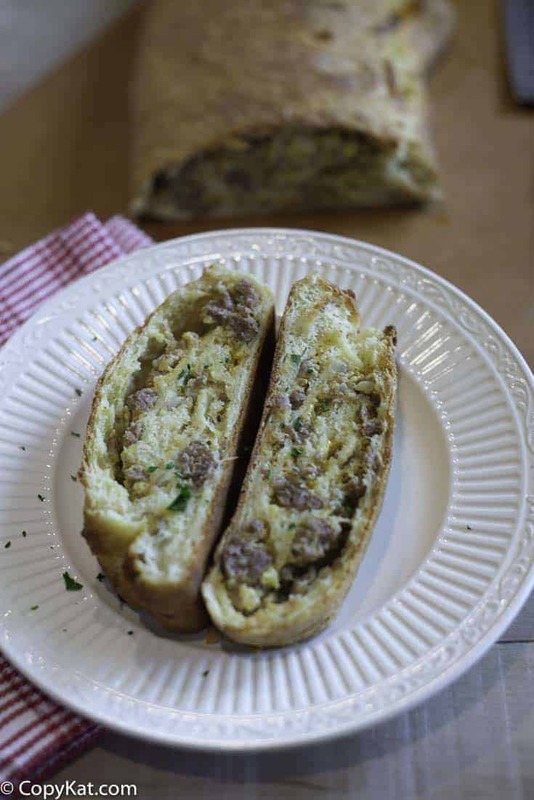 In this sausage roll recipe, breakfast sausage, eggs, and cheese are baked right into the bread. This recipe is hearty and will keep everyone full until the next meal. This sausage roll also reheats really well, so you can serve it later. How do you make a sausage roll? It’s very easy to make a sausage roll. We start with a box of Pillsbury Hot Roll Mix. Using this mix means you don’t need to measure a bunch of complicated ingredients to make a great loaf of bread. You will start by preparing the bread according to the package, and it is super easy to make this bread. So while it is set aside to rise, and it only takes 30 minutes for the bread to rise, you an start the filling. Saute the sausage and onions together. Brown the sausage and drain it well. 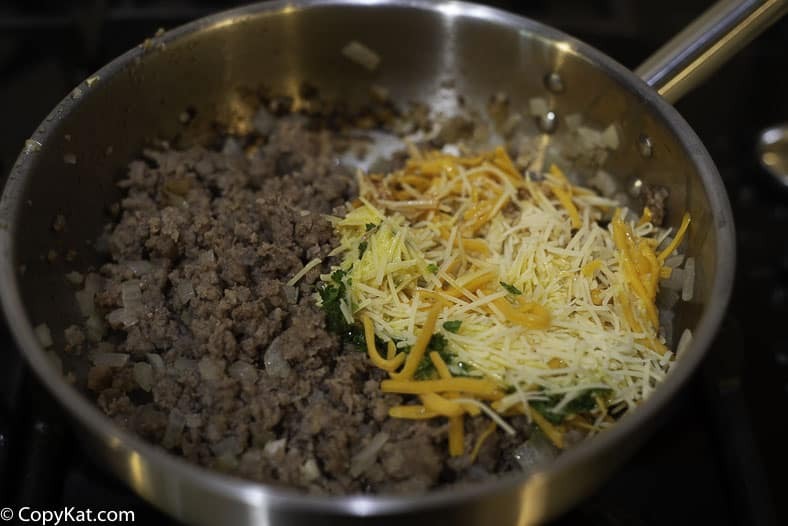 While the sausage is cooking you can assemble the rest of the filling. 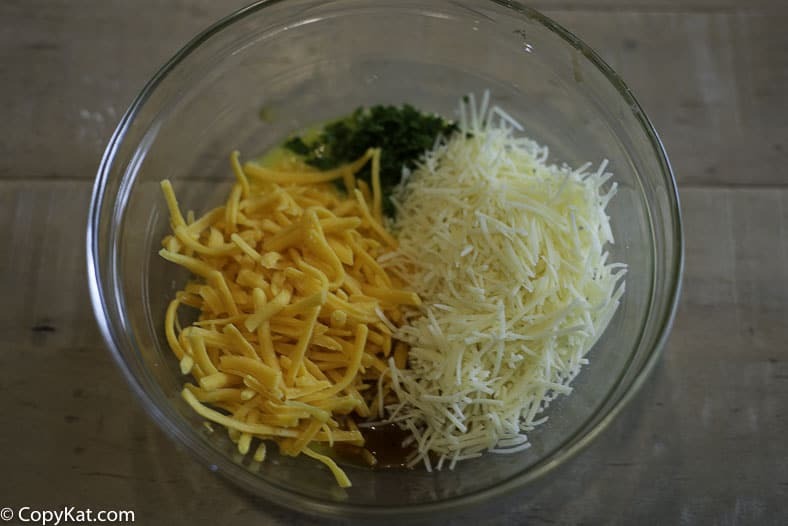 In a small box mix together 2 eggs, the cheese, and the parsley. When the sausage has been drained you will add this mixture into the sausage. 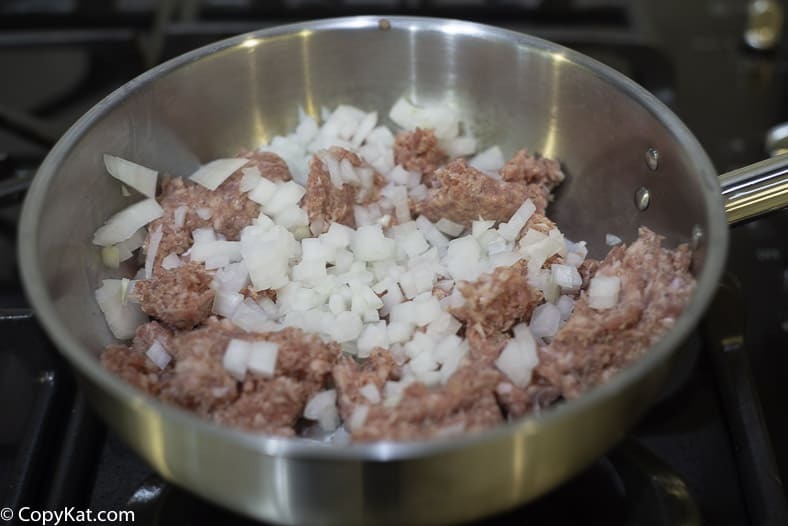 You will quickly cook the egg mixture with the sausage mixture, as everything needs to be fully cooked before we assemble the sauage roll. The most exciting part of this recipe is putting this all together. 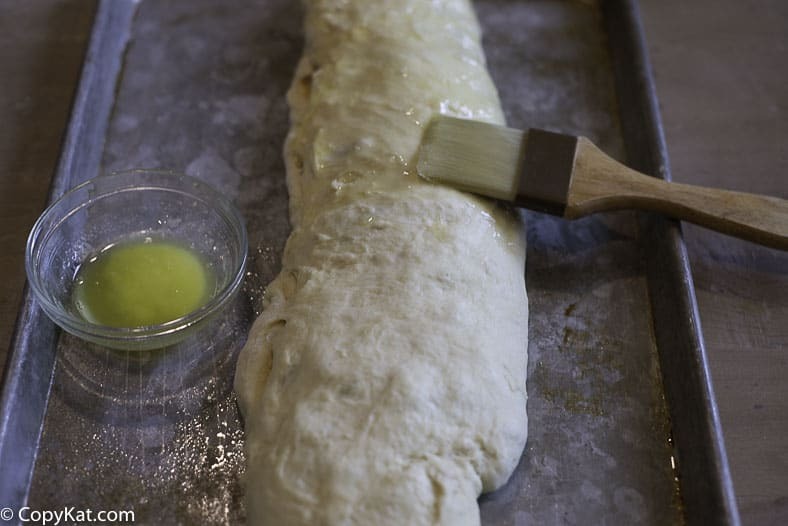 Roll our your dough on a lightly floured surface. You want to roll it into a large rectangle. Then you will place the filling on the bread, and spread it out the best you can. Then take the edge and begin to roll it up. You want to roll it like a jelly roll, or even a cinnamon roll. Before you put this breakfast delight in the oven, give it a quick brush with butter, then comes the hard part, you must wait for 20 minutes while it bakes. Love making a recipe your own? You can make a lot of changes to this recipe. This sausage roll is perfect for a large family breakfast. Fry sausage and onion; drain. Add remaining ingredients; then let cool. Roll dough mixture to 1/4" thick. 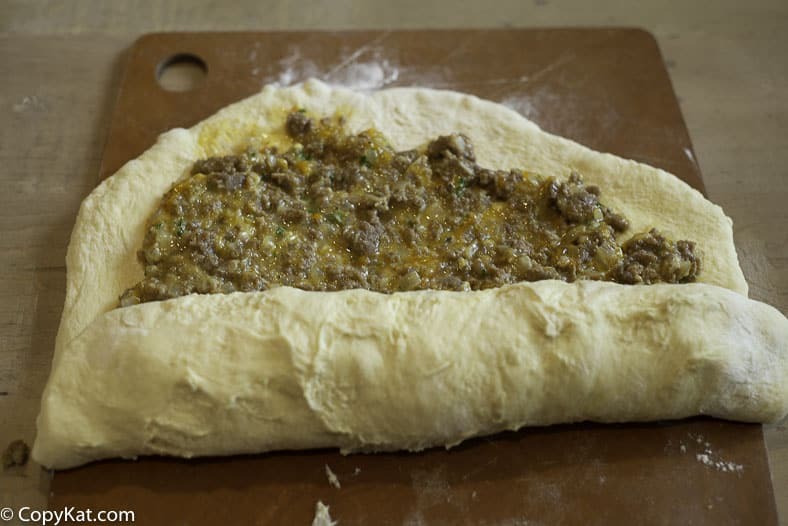 Spread meat mixture over dough. Roll up like jelly roll. Bake on cookie sheet at 400 degrees for 20 minutes. Brush top with butter. This blog post contains an affiliate link.